Temporary Anchorage Devices (TADs), a.k.a. micro implants/mini-implants, are essentially small, screw-like dental implants made of a titanium alloy. As their name implies, these are temporary and are removed once the desired tooth movement has been completed. 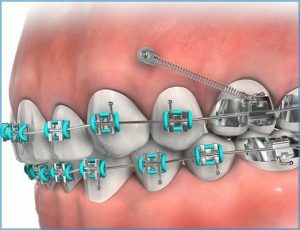 Schedule your free complimentary consultation visit with Dr. Guirguis to see if your orthodontic treatment might benefit from the use of a TAD.